On this day, May 10, 1902, Joachim Prinz was born in the Prussian province of Silesia. As a young rabbi in Berlin, Prinz was forced to confront the rise of Nazism. Dr. Prinz devoted much of his life in the United States to the Civil Rights movement. He saw the plight of African American and other minority groups in the context of his own experience under Hitler. From his early days in Newark, a city with a very large minority community, he spoke from his pulpit about the disgrace of discrimination. He joined the picket lines across America protesting racial prejudice from unequal employment to segregated schools, housing, and all other areas of life. Also, in the 60s, specifically on this day, May 10, 1960, Paul David Hewson was born in Dublin, Ireland. While his mother was Iris Rankin was a member of the Church of Ireland, his father was, Brendan Robert “Bob” Hewson, a Roman Catholic. Kinda like the inverse of the great song “The Orange and the Green” also known as “The Biggest Mix-Up.” “Oh it is the biggest mix-up that you have ever seen My father he was orange and my mother she was green.” This dual religious parentage gave Hewson a unique perspective on The Troubles. Hewson soon established himself as a passionate frontman for his band through his expressive vocal style and grandiose gestures and songwriting. His lyrics are known for their social and political themes, and for their religious imagery inspired by his Christian beliefs. During the early years, Hewson’s lyrics contributed to the group’s rebellious and spiritual tone. As the band matured, his lyrics became inspired more by personal experiences shared with the other members. Hewson and his band have received 22 Grammy Awards and has been inducted into the Rock and Roll Hall of Fame. Hewson is known as an Irish singer-songwriter, musician, venture capitalist, businessman, and philanthropist. More importantly, Hewson is widely known for his activism for social justice causes. He is particularly active in campaigning for Africa, for which he co-founded DATA, EDUN, the ONE Campaign, and Product Red. In pursuit of these causes, he has participated in benefit concerts and met with influential politicians including John Hume, David Trimble, Nelson Mandela, and Aung San Suu Kyi. On this day, May 3, 1920, the Parliament of the United Kingdom of Great Britain, and Ireland passed The Government of Ireland Act (1920), dividing Ireland into Northern Ireland and Southern Ireland. Pre-Tudor Ireland, going back to the invasion by Strongbow, may have been nominally part of the English crown, but it was more of a self-governing afterthought. But after Henry VIII had to deal with a rebellion by his cousin, Thomas FitzGerald, the crown decided to pay more attention to Ireland. This “attention” was further exacerbated as the Tudors and England renounced Roman Catholicism; Irish nationalism and religion became intertwined. Making things worse, the Stuart King James rewarded Scottish Presbyterians from Scotland with confiscated lands in Ireland… The Plantation of Ulster, the idea was to at the same time, quell Irish Catholics in Ulster…. A brilliant win-win solution, that became lose-lose for generations of Ulstermen of both heritages. Two-hundred years of Irish Catholic repression under the Penal Laws, but finally repealed under the leadership of Daniel O’Connell in the mid-nineteenth century. Renewed Irish nationalism and rising political demands by the Green Irish Catholic Gaelics, seemed like a threat, not in the South, but in the industrialized North where Orangemen had tremendous social privilege and wealth at state. As the cry for Home rule got louder, the Orange Lodges got louder to in their insistence to remain an integrated part of Britain. The House of Lords vetoed home rule twice and then lost their right to veto; the third home rule bill and the home rule crisis, then WWI and broken promises… the Easter Rising, the unnecessary execution of a man, tied to a chair, with a broken ankle…. Finally, on this day, May 3, 1920, the Parliament of the United Kingdom of Great Britain and Ireland passed The Government of Ireland Act (1920), dividing Ireland into Northern Ireland and Southern Ireland. The Act was intended to establish separate Home Rule institutions within two new subdivisions of Ireland: the six north-eastern counties were to form “Northern Ireland,” while the larger part of the country was to form “Southern Ireland.” Both areas of Ireland were to continue as a part of the United Kingdom of Great Britain and Ireland, and provision was made for their future reunification under common Home Rule institutions. Home Rule never took effect in Southern Ireland, due to the Irish War of Independence, which resulted instead in the Anglo-Irish Treaty and the establishment in 1922 of the Irish Free State. However, the institutions set up under this Act for Northern Ireland continued to function until they were suspended by the British parliament in 1972 as a consequence of The Troubles. The remaining provisions of the Act were actually still in force in Northern Ireland until the 1998 Good Friday Agreement. Yes, Home Rule is finally complete for both the southern Republic of Ireland and, somewhat begrudgingly in the northeastern 6 counties of Ulster. The Northern Ireland government has been suspended several times in the past twenty years. The fourth North Ireland Executive collapse in 2017 over the Cash for Ash Scandal. Without a devolved Home Rule government of their own, Northern Ireland is managed from London, but there is peace. Not perfect peace, but peace none-the-less. 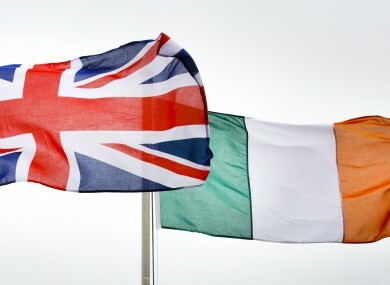 While on this day, May 3, 1920, the Parliament of the United Kingdom of Great Britain and Ireland passed The Government of Ireland Act (1920), dividing Ireland into Northern Ireland and Southern Ireland, it is now Northern Ireland that wants to continue its relationship with the Republic Ireland in the fallout of the Brexit vote. Ireland, one small island in the North Atlantic only the size of the US State of Indiana, but with a long history of division and disproportionate drama. Welcome to This Day in Today, a collection of thoughts from my series of books, This Day in… There are currently five books in the series, This Day in Genocide, This Day in Peace, This Day in Trump, This Day in Black and Blue, and This Day in Rhode Island history. On this day, April 24, 1916, the Easter Rising, began in Dublin, Ireland. Members of the Irish Volunteers — led by schoolmaster and Irish language activist Patrick Pearse, joined by the smaller Irish Citizen Army of James Connolly seized key locations in Dublin and proclaimed the Irish Republic to be independent of the United Kingdom. More than 3,430 men and 79 women were arrested, although most were subsequently released. In a series of courts martial, 90 people were sentenced to death. Those fifteen included all seven signatories of the Proclamation of 1916 and were executed by firing squad (among them the seriously wounded James Connolly who was shot, while tied to a chair due to his shattered ankle). Irish nationalism, crushed by an Imperial Military, concurrently fighting in WWI…on the other side of Europe, Turkish forces in the Ottoman Empire crushed more than nascent nationalism. April 24th is the 102th anniversary of the Armenian Genocide. It’s as simple as that. One word: genocide. Once again, the President of the United States will not refer to the mass killings of Armenians as genocide. At least President Trump never promised to call it a genocide. Obama was the third presidential candidate to campaign on the promise to recognize the Armenian Genocide, and then fail to live up to that promise once elected. Why have President Clinton, President Bush and President Obama switched opinions? The argument is well-known: pandering candidates with limited foreign policy experience promise big, then the complexity of the situation causes policy reversal. Turkey is a strategic NATO ally; the White House needs the positive public relations image that comes with having good relations with Turkey since it is a Muslim democracy; Turkey is an ally in the war against ISIS, etc., etc., etc. That is one truth, but there are also other truths. The truth is, that while Turkey was a strategic ally for the Cold War, so the US could monitor the Soviet Black Sea Fleet, such monitoring is no longer necessary by sea. While relations between the US and Russia are not warm and fuzzy, Russia does not have the economic, political, or social resources to threaten the United States as it did during the Cold War. Additionally, Iraq, Pakistan, Indonesia, and even Iran; all are Muslim countries trying to reconcile Islam and democracy. Though the others may not be perfect, Turkey is far from the only Muslim democracy. And let’s face it, Erdoğan is no true defender of democracy. Nor is Turkey the most supportive ally against ISIS. Turkey had to be cajoled and cajoled to even allow Kurdish forces through Turkey who have sought to engage ISIS forces in Syria. So, to recap: Turkey’s control of the Dardanelles and Bosporus Straits is no longer a key US interest, Turkey is no longer a unique example of Muslim experiments in democracy, and Turkey has not actively supported joint operations against ISIS. At the same time, the United States of America has the third largest Armenian population in the world (only Armenia and Russia have a higher Armenian population). The US Presidents have a responsibility to represent survivors and descendants of the Armenian Diaspora. Ironically, US Presidents had no problem referring to the Armenian genocide when Turkey’s government was a military dictatorship. The amnesia of the recent White House administrations is a new phenomenon and it must end. The fact is the genocide happened. Period. That’s it. Even the Turkish government admits that Armenians were massacred and that wholesale emigration of the Armenian survivors occurred. Turkey resists the term genocide because it states the massacres were not systematic or premeditated. Even ignoring the evidence to the contrary, if one were to accept the Turkish statement of facts, it still meets the threshold of the UNCPPCG. There was an Armenian Genocide. Every Armenian family knows it. About 30 countries, including Germany and Austria, have recognized the genocide. While the Vatican has already recognized the Armenian Genocide, Pope Francis has raised the profile of the recognition by publicly and unequivocally referring to the massacre as genocide. The Jewish-American Anti-Defamation League and the Central Council of Jews in Germany have called the 1915 events a genocide. As the European Parliament unanimously passed another resolution recognizing the Armenian Genocide recently, German delegate Elmar Brok said, “My own people committed genocides,” he said. “and we know hundreds of thousands of Armenians died at the hands of the Ottoman Empire’s henchmen.” It’s called catharsis; just say the word. The word is genocide. The Catholic Church has recognized its own responsibility for the Inquisition and the Crusades, including the sacking of Turkey’s own city of Istanbul (then Constantinople) in 1204. Germany, Cambodia, Rwanda, and Serbia have all recognized, to some extent, their role in the other 20th century genocides. In 1997, US President Bill Clinton apologized for the US role in the institutional enslavement of West Africans and African-Americans. Obama signed the apology to Native Americans in 2010. It is time for Turkish President Recep Erdoğan to follow this example and acknowledge his country’s past. Maybe President Trump can help Erdogan by using the word himself. The word is genocide, and, yes, it happened. Let’s not wait another hundred years to say so. While it was on this day, April 24, 1957, Maria Elizabeth Hesselblad that died in Rome, Italy, Hesselblad is now recognized as a Righteous Among the Nations. Hesselblad was a Swedish nurse who had converted to Catholicism and founded a new form of life of the Bridgettines known as the Bridgettine Sisters. During World War II – and after – she performed many charitable works on behalf of the poor and those that suffered due to racial laws and promoted peace between Christians and non-Christians. The war also saw her save the lives of Jewish people who would have otherwise have perished in the Holocaust had it not been for her direct intervention. Pope John Paul II beatified her on April 9, 2000, and Pope Francis formally approved her canonization in late 2015. If the Irish Republican Army can renounce the use of violence, why can’t the American Republican Party do the same?